Hey everyone! Today's nails are some cute bees I did at the request of Avon. 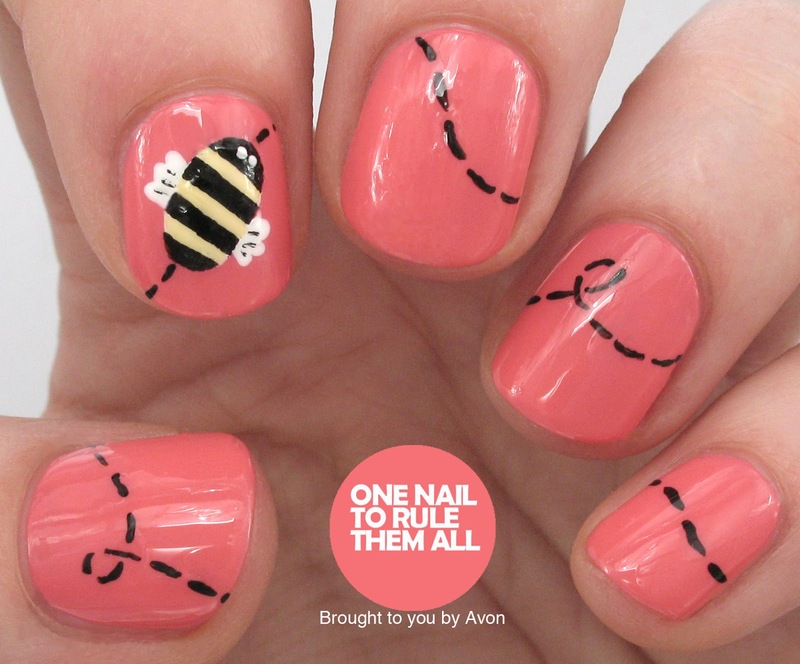 I love bee nails, they stand out a lot and they look pretty cool too. I had more compliments wearing these than I have had for a long time, which I was surprised about, because to me they're a bit too simple. Anyway, rather than the usual baby blue base that tends to be used for these nails, I decided to do a coral base instead, because why the hell not? 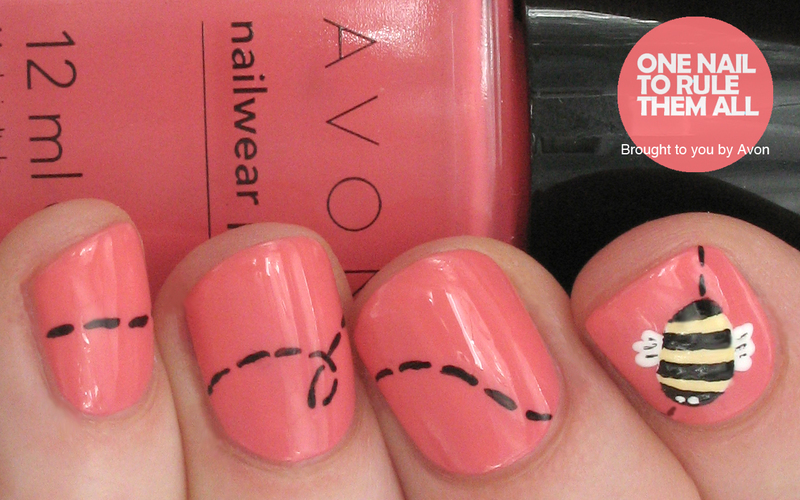 Coral is a great colour for spring and summer, and I haven't used it in a while, so here we go! This is too adorable! I love it!! I love this, it's nice that you've switched up the background colour too. Cute! I love it with a coral background! Perfect example of less is more. I usually think more is more, but these are just adorable!